[tps_footer]Katrina Kaif’s Fitoor has opened below expectations. The film has actually crashed at the box office. The film had very low collections on day one, it collected Rs 3.50 crore net approx. (Rs 35 million). On day two, Fitoor had a growth of 20%, and the film collected Rs 4.25 crore net approx. (Rs 42 million), on day three (Sunday), Fitoor collected Rs 5.25 crore net approx. (Rs 52 million). on top collections are at low levels. On it’s first Monday, Fitoor collected Rs 1.50 crore net approx. (Rs 15 million). So the total collection is Rs 14.50 crore net approx. (Rs 145 million). On the other hand Pulkit Samrat-Yami Gautam starrer Sanam Re had a decent hold on Monday. The collections are low but the hold is there to suggest that the film can get a decent first week despite the slow start. The film had opened below the mark on day one, on day two, the film lost it’s momentum, but on day three, the film got an advantage of Valentine’s Day on Sunday. On day one, the film collected Rs 3.50 crore net approx. (Rs 35 million). On day two (Saturday), the film had a very limited growth, it collected Rs 3.85 crore net approx. (Rs 38 million net approx), on day three (Sunday), Sanam Re collected Rs 6.25 crore net approx. (Rs 62 million). 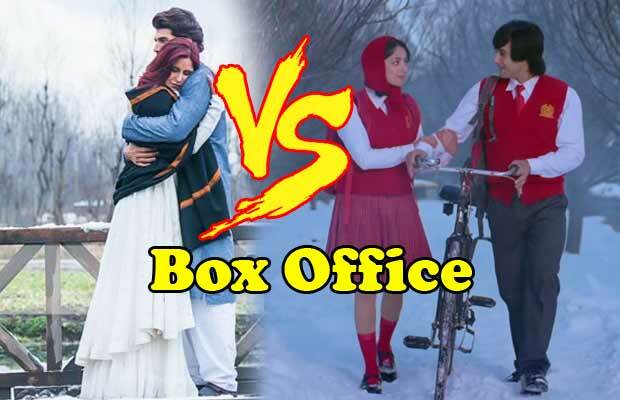 Sanam Re dropped 35% from its first day, which is not so bad as compared to Fitoor. On it’s first Monday, the film collected Rs 2.25 crore net approx. (Rs 22 million). So the total collection is Rs 15.85 crore net approx. (Rs 158 million). Previous articlePhotos: We Bet No One Can Beat Sonam Kapoor’s This Hot Look In Red! Next articleReview: Bollywood Celebrities Must Watch Reaction On Sonam Kapoor’s Neerja!